Mara Linnemann Started 10 years ago with giving workshops in creative writing, now she facilitates up to 10 day trainings in ‘sustainable activism’. She likes to support the power of the people, to be life long engaged for a just transition. She designs courses for diverse groups and makes use of empowering tools. She mainly works on emotional response towards climate change. She can facilitate in German, Dutch and English. 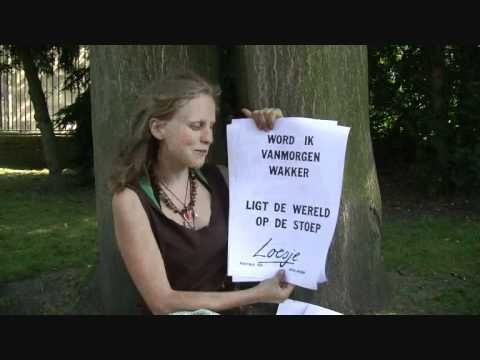 She is trainer for the ‘Transition Network’ and ‘Stroomversnellers’ the Dutch Trainers collective for social change. She followed trainings from, Joanna Macy, Starhawk, John Croft and did the Eco Village Design course. A short movie about how to realize your dreams in just 5 steps! that does not move, travel or speed up. and the more I watch, the more I see. and I see you flourishing. And I blush for not even knowing your names. car, pavement, road sign and traffic lights. and neither are you marked on any map. who truly show me the way.